1919 - joined the Bulgarian Communist Party. 1920 – 1925 - member of the German Communist Party. 1924 - PhD in Public and Political Sciences in Berlin. 1925 – 1927 – member of the French Communist Party. Worked at the Soviet Representation in Berlin. 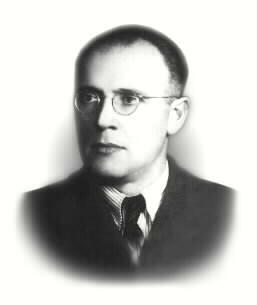 1925 – 1934 - worked in the central administration of the Statistic Bureau in Sofia; member of the Central Committee of the Bulgarian Communist Party. 1937 – 1945 – Professor in Statistics and Insurance. Governor of the Bulgarian National Bank. 1946 – 1949 - Minister of Finance in cabinets of Kimon Georgiev, Georgi Dimitrov, Vasil Kolarov. MP in the Grand National Assembly. Author of a number of scientific works. 1949 –sentenced to life imprisonment for activities opposing the Communist Party (the group of Traycho Kostov).